If you undergo treatment for periodontal disease, restoring your gums to a healthy state is only part of the battle. If you don’t take steps to keep your gums healthy, your disease can return quickly and put your teeth at risk. Your periodontist will explain what you need to do at home to maintain your healthy gums. This advice will also help. Brushing and flossing are some of the most powerful weapons you have about gum disease. Because it only takes about a day for plaque to turn into tartar that can’t be removed with home care, falling behind on your hygiene routine can have serious implications. 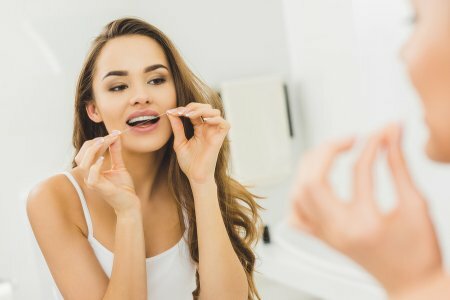 Brush and floss your teeth twice a day, and follow your dentist’s recommendations for using mouthwashes, fluoride rinses, periodontal brushes, and other specialty treatments and techniques that can make your home care regime more effective. After treatment for periodontal disease , you may need more frequent dental exams and teeth cleanings. Typically, patients who are recovering from periodontal disease should see their dentists four times per year. In addition to performing a thorough cleaning, your dentist will monitor the size of the pockets between your teeth and gums to ensure that they are healthy. Deep pockets allow plaque and bacteria to sit below the gum line and harm roots, nerves, and the jawbone. Smoking is a significant risk factor for periodontal disease. During treatment, your periodontist will recommend that you stop smoking, but if you haven’t stopped by the time your treatment is over, make quitting a priority during the maintenance phase. Smoking will drastically increase your risk of periodontal disease recurring, and it can also make you more likely to develop other oral health problems, including oral cancer. Take the first step to protecting your gums today by making an appointment at Glenwood Premier Dental. We offer extensive treatment for periodontal disease as well as the teeth cleanings you need to keep your smile healthy. For an appointment with a dentist in Hazlet, call (732) 264-4477. Cold sores are painful and annoying. In the past, they have also been difficult to treat, but now your dentist has an option for getting rid of sores for good: Laser dentistry. Laser dentistry using the Waterlase system can provide instant relief from cold sore pain in the comfort of your dentist’s office. Using laser technology, your dentist can reduce inflammation and infection in your cold sore, allowing it to heal quickly. Pain relief is immediate, and most cold sores treated with laser dentistry clear up within 48 hours of treatment. During laser treatment, all you will experience is a warming sensation caused by the laser. Because the pain of the cold sore will dissipate on contact, getting laser treatments for cold sores is virtually painless. At Glenwood Premier Dental, our laser dentistry treatments can make all of the dental care you need more comfortable. To find out if you’re a candidate for laser dentistry in Hazlet , call us at (732) 264-4477. Millions of people suffer from dental phobia, and it keeps them from getting the dental care that they need. 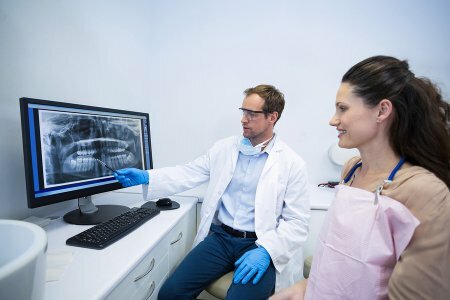 The problem is that when you don’t see your dentist regularly, any issues you have can become worse, leading to more costly and invasive procedures. Watch this video for tips on dealing with dental phobia. By working closely with your dentist, you can get the care you need without the anxiety, so you can stick to a routine of regular dental exams to reduce the risk that you will need more extensive treatments. At Glenwood Premier Dental , our office is a judgment-free zone, where you can get the care you need, even if you haven’t been to the dentist in years. We’re committed to helping every patient feel comfortable in our office. Make an appointment with a dentist in Hazlet today by calling (732) 264-4477. Oral cancer screenings are important parts of dental exams. Because oral cancer is much easier to treat in its early stages, screenings allow your dentist to diagnose cancerous lesions and begin care as early as possible. Here are the answers to questions patients frequently have about oral cancer screenings. Are oral cancer screenings painful? Oral cancer screenings involve your dentist doing a visual examination of the tissue in and around your mouth. The test is completely painless. If your dentist is concerned about anything he or she sees, you may need to have the tissue biopsied. Your dentist may perform this test in the office or refer you to another specialist for the biopsy. During a biopsy, a small amount of tissue is removed for further examination. If you need a biopsy, a local anesthetic can be used so that it is completely painless. Typically, your dentist will perform an oral cancer screening as part of your twice-yearly routine dental exam. If you have multiple risk factors for oral cancer or have had cancerous lesions in the past, your dentist may recommend that you have screenings more frequently. Smoking is one of the most significant oral cancer risk factors, so if you are a smoker, your dentist may want to examine you more often than twice a year. Your dentist will closely look at your lips, cheeks, tongue, soft palate, and tonsils. He or she may direct a light at the tissue to see if more clearly. Your dentist may depress your tongue and move it from side to side during the screening to see all sides of it. He or she may also feel your neck to see if there are any lumps under the skin. Oral cancer screenings are part of the preventive care we provide at Glenwood Premier Dental during our dental exams. Make an appointment for an oral cancer screening in Hazlet by calling (732) 264-4477.